TROPICAL Depression Usman will possibly make landfall in the tip of Northern Cebu on Saturday morning, December 29. Even though Usman has yet to make landfall in Cebu, the Provincial Disaster Risk Reduction and Management Office (PDRRMO) has raised the red alert level within all local government units in anticipation of the storm’s arrival. The Philippine Atmospheric, Geophysical and Astronomical Services Administration (Pagasa) stated that Usman might make landfall at around 6 a.m. to 8 a.m. 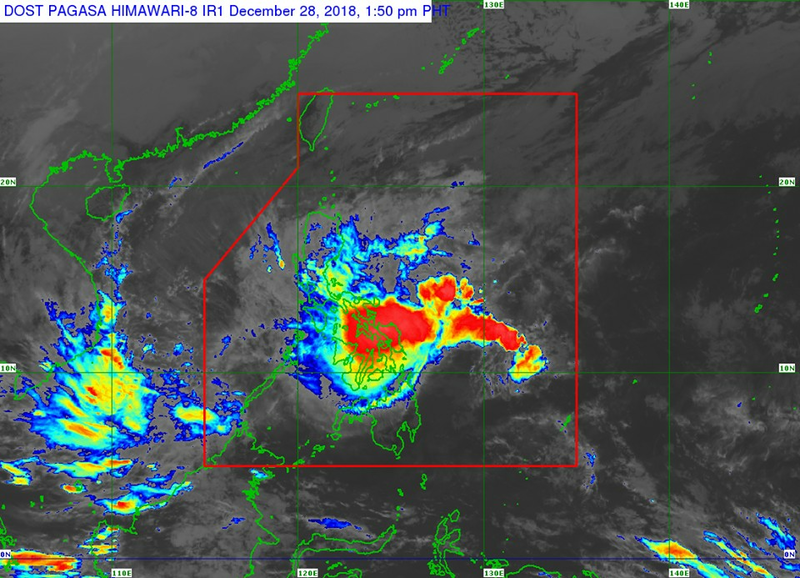 Engineer Alfredo Quiblat, Pagasa Visayas acting weather chief, said since 2 p.m. Fridfay, December 28, they have noticed that Usman’s movement was becoming erratic while still hovering along the Pacific. Aside from its erratic movement, Quiblat said Usman could make its first landfall on Samar at around 11 p.m. on Friday or at 5 a.m. on Saturday. Quiblat said should it make its second landfall, Usman could possibly hit the town of Daanbantayan, possibly in Malapascua Island, following its sudden change of direction. With Northern Cebu on its pathway, the entire province, including Metro Cebu, has been placed on Tropical Cyclone Warning Signal NUmber 1 (TCWS), Quiblat added. Usman is set to bring rains of up to 50 millimeters (mm) or around 250,000 drums of water with around 7.5 mm to 15 mm of rainfall per hour. 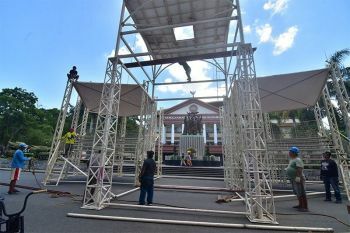 But Quiblat assured that better weather is expected on New Year’s Eve and until after the New Year’s Day with Usman exiting the Philippine area of responsibility by Sunday night, December 30 or Monday morning, December 31. No unusual weather disturbances were monitored along the Pacific following Usman, Quiblat added. While around 500 passengers and 40 cargo trucks bound for Bantayan Island and other islands were stranded at the Hagnaya Port in San Remegio due to Usman. 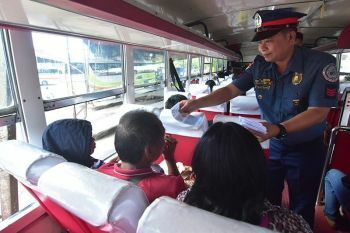 Julius Regner, PDRRMO information officer, said the passengers and vehicles will have to stay temporarily at Hagnaya until such time that the storm warning signal has been lifted by Pagasa. 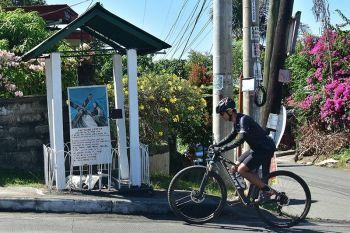 Regner said that with the red alert status raised by PDRRMO, they have alerted LGUs in Northern Cebu, including Bantayan and Camotes Islands, to prepare for Usman’s onslaught. He urged first responders assigned in the LGUs to prepare all of their equipment and other resources should untoward incidents might happen. Aside from Northern Cebu, local disaster offices in Central and Southern Cebu were also advised to prepare their equipment should they be deployed to assist Northern Cebu LGUs during emergency situations.